Agency Power Short Shifter - Dezod Motorsports Inc - Home of the automotive performance enthusiast since 2002. Agency Power Short Shifters are available for your performance vehicle needs. Get quicker shifts, improve response, and shorten throw with the Agency Power shifter components. In addition, the shifter height is lowered a sport feeling to help you get through the gears more efficiently. The CNC machined short shifter is made from 1018 High Strength Steel. 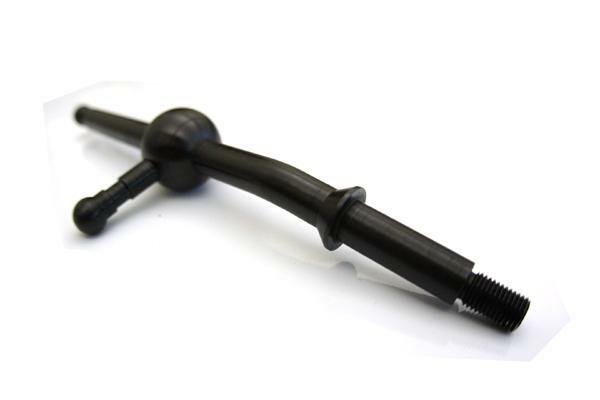 The lever is then zinc coated in black for a stylish stealth look. I really like this shifter, the throw is decreased quite a bit on my boxster.